Where did our dreams go? Where inside us is the child hidden? 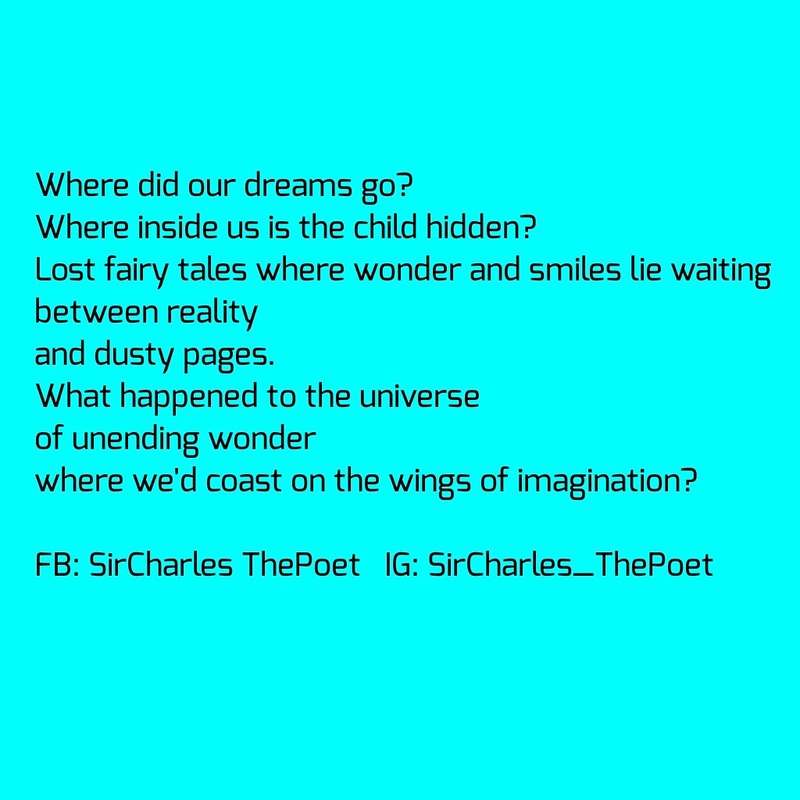 where we’d coast on the wings of imagination? I’m me, who are you? Do you skate, do you dance? Do you look at a person’s mind like taking a glance? Do you find yourself on the half court and still take a chance? Do restrictions hold you back? Do you climb the fence? Do you argue in seminar like you’re in a battle? Or declaim and take everyone to another level? Do you wear a tie knowing you came from the ghetto? Do you get hungry in class and eat cereal? 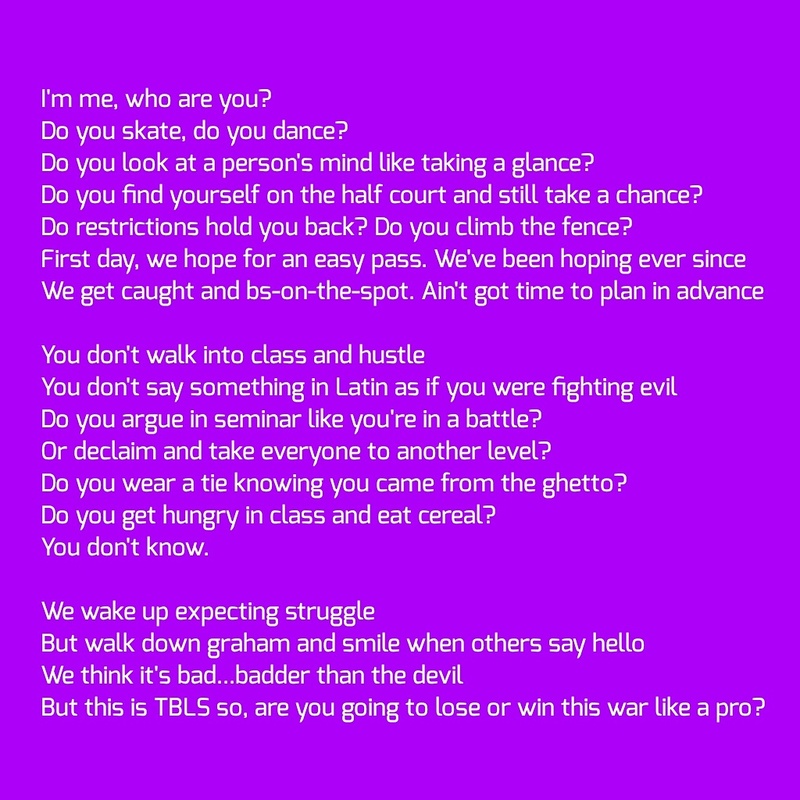 But this is TBLS so, are you going to lose or win this war like a pro?